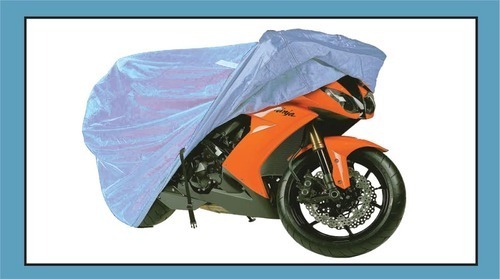 We the Compact industries are manufacturing all types of car and motorcycles body covers from many years. We are the leading manufacturer in car covers and bike covers. Our covers are well finished and available at very competitive price that are useful for our clients to make best profits and a good customer satisfaction. Our covers brands has great positive feedback from the customers and all of our clients are fully satisfied. Saathi car covers are made from imported fabric made from nylon with Teflon coating. Speciality of saathi car covers are-1. Totally untreatable2. Heat proof3. Dust proof4. Water resistance5. Light weight6. Very long lasting (last up to 5 years). Saathi car covers are available in two different colours sky blue and light pink. Saathi car covers are the best-selling car body covers of our company. Himalaya car covers are available in two different colours light pink and navy blue.These car covers are attractive in price. Besides all these we are manufacturing all types of bike covers made from H.D.P.E fabric, Teflon fabric, parachute fabric and coated nylon fabric. Noble brothers is established in the year 1950. We manufacture wide range of products to protect your valuable goods. We are engaged in manufacturing and exporting of a comprehensive range of hdpe tarpaulins, ldpe, alltype of body covers. Our range is excessively used across several industries and includes Ground Sheet, Monsoon Sheds,Agricultural Tarpaulin, Car Covers, Vehicle Covers, tents and Truck Tarpaulin. In addition to it, we also offer to our clients HDPE Tarpaulin, Waterproof Tarpaulin, Canvas Tarpaulin and Tarpaulin Covers. We ensure that each products dispatched from our premises is of high quality and meets the requirements of our clients.Our production process, raw material and the finished goods undergo respective quality checks to make sure that best finished products are delivered to the clients end. Our products are thus of high quality and are delivered to our clients effectively within a stipulated time frame. Everyone at our organization is customer centric in his approach and wants to offer the client best value for his money. We strongly believe that efficient employees are the key to the success of any organization. Therefore, we have hired talented and diligent professionals who are excellent at their work and work cohesively under a client centric approach.They strive to complete the assigned work on time and as per the requirements of our clients.